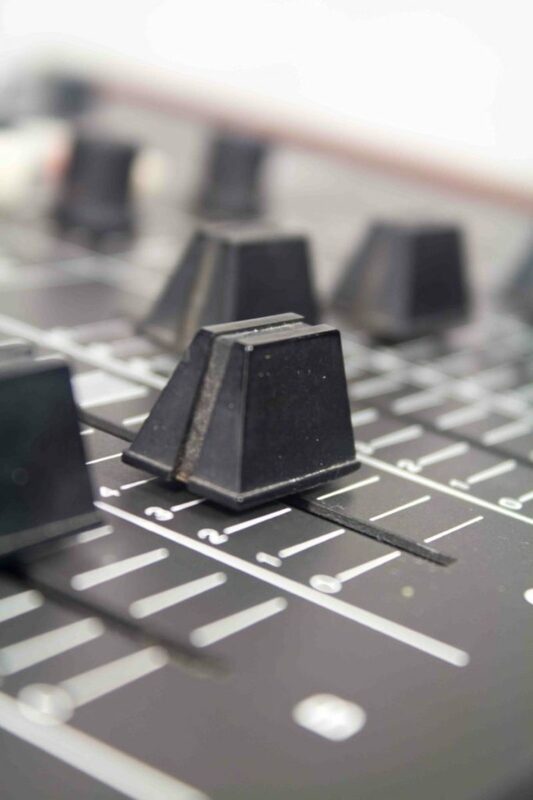 Tev Sound is run by Tev Bourque, producer, sound engineer and composer. Native to the Ottawa area, Tev has worked with artists such as John Carroll and Amanda Lowe and is an active member in Ottawa’s music industry. With experience living and recording in West Africa, Tev is well-rounded in both analogue and digital technologies. Check out Tev’s portfolio below or book your studio time now. The follow album to 2013’s “The Niamey Sessions”, “Colours” is a multi vocalist collaboration album focussing on the musical diversity of Ottawa. A fusion of several genres, the album features vocal work from several Ottawa area vocalists, including: Marie-Clo, Rita Carter, Paula Whitelocke, Amanda Lowe, Ceerouse, Thandie Dice, Fletcher G, Dominique Gorley, Ras Lee, Dynamic, Aspects, Jah’kota, and Yohannes Finesse. 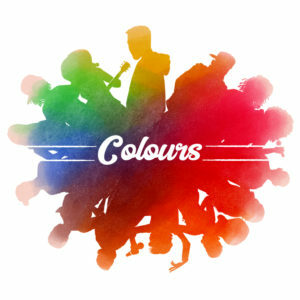 Check out the Colours album on Bandcamp! “The Magic Machine is exactly what you’re looking for. 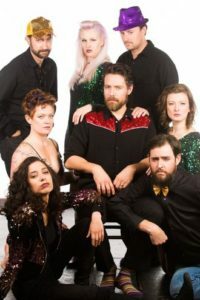 The gang is a made up of a silly potpourri of creative minds – resulting in a sweet mix of folk and southern jam featuring opera-rock vocals, bouncy rhythms, musical theatre harmonies, and the occasional rain stick interlude. Ottawa, Ontario Based local singer/songwriter Maeve Lalonde, rebranded under the Gaelic spelling of her name ‘Méabh’. As a solo act, playing Indie acoustic music, whereas in full band – ranging to indie rock, jazz, blues and pop. Glen Howse’s 5 track EP is out NOW and available directly through the Artist. Glen acoustically covers a variety of modern hits, infusing his own unique style and emotion. Check out Glen’s SoundCloud profile for more tracks and future information. O-Town singer-songwriter Birdie Whyte is at home on the stage with her five string banjo, “Jack” and her trusty sidekick, Frank Western. Next to horses, songwriting is Birdie’s passion and her lovely voice lends an aching depth to the simple country lyrics she lays down. Too busy kicking around the barn as greenhorn caused Birdie to discover the joys of music only several years ago, but her love of playing evolved into hosting Ottawa’s WORLD FAMOUS TUESDAY NIGHT OPEN MIC at the Chateau Lafayette and then creating her own weekly show at the same place every SUNDAY. Canada’s own, Yohannesx13 recently dropped his brand-new mixtape “Ambitions as a Writer.” Yohannes combines an introspective style of rap, with grimy bars and a seamless flow. Through this mixtape Yohannes takes a deeper look at himself, his music and aspirations. This mixtape is a culmination of Yohannes daily struggles as a rapper and a man. By combining original lyrics with some of hip-hop’s most popular instrumentals, Yohannes has created a notable and distinguished mixtape. Growing up as an Ethiopian in Canada, Yohannes has developed a unique style that’s reflective of his environment and cultural upbringing; a strong theme present throughout the mixtape. Ambitions as a Writer offers a closer look into the mind and life of Johannes. Check out some of Yohannes’ music. Born in Peterborough Ontario, and Based in Ottawa. Takes too long to write songs, needs to practice more often and play some shows. Born in Ottawa Ontario Canada, Fluency Grey started working from a young age in the dramatic arts. Traveling for work to New York, L.A. as well as a multiple Canadian cities, Fluency developed a love of travel early on. Finding minor success in the way of small independent film roles, and cartoons Fluency later switched careers to Music. Check out some of Fluency’s music. A series of videos hosted by J.P. Michel, focussing on academic coaching. SparkPath helps young people discover their true potential and choose the education program that leads to an extraordinary career. In 2013, Tev recorded and produced a ground breaking album in Niamey, Niger, called “The Niamey Sessions”. Featuring headlining Nigerien artists like Abdou Salaam, Safia (Kaiden Gaskia), and ZM, Tev recorded this project in a humble home studio in the cultured and dynamic capital.